14 oz enamel camping mug. The kind I grew up with. The kind that brings back instant memories of s'mores and stars and singing songs by the campfire. 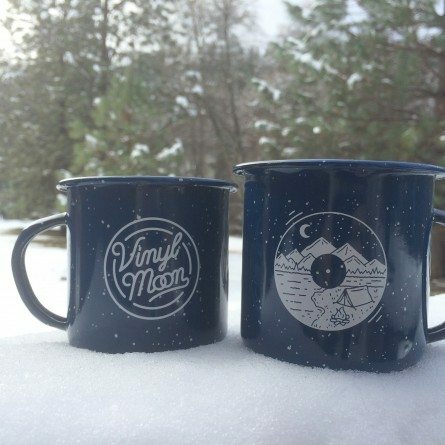 The Vinyl Moon logo is on one side and original artwork by YAWN on the other.